I follow Sophia Donatelli on Instagram, and I always adore seeing her fab outfits in my feed. I was especially smitten by this winter pastel ensemble that she posted recently, so I just had to draw it. 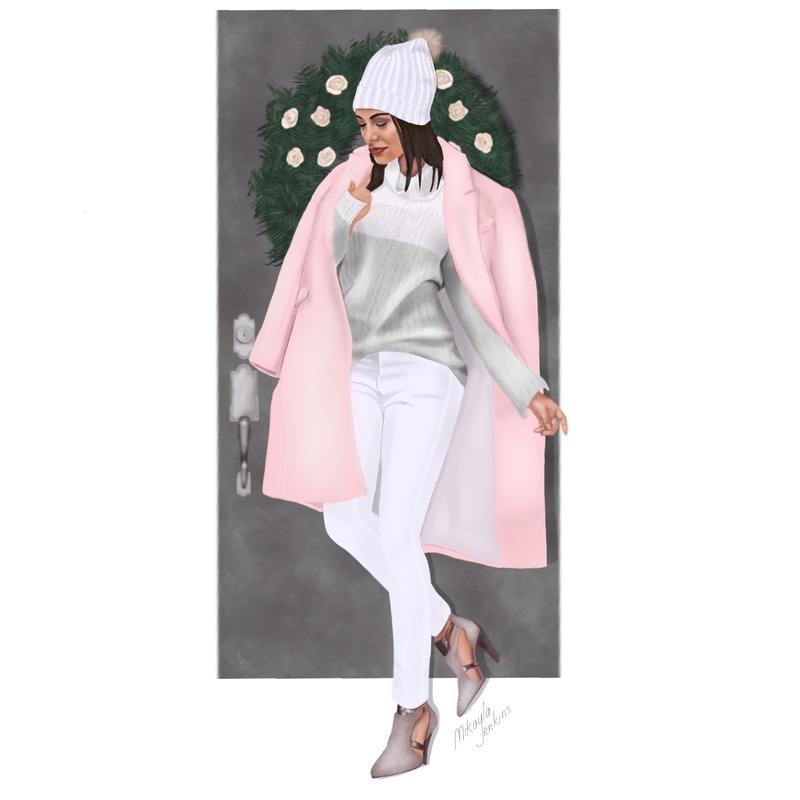 Sophia’s blog, Stylishly In Love, is jam packed with fashion inspiration, so be sure to check it out. Interested in commissioning a custom illustration? Please email me at mikayla@sublimecravings.com, or you can click here to see my pricing for my custom fashion illustrations. Your illustration looks great and even feels soft. 😊 Makes me want the outfit. Thanks so much, Joanna. I wanted to convey some texture in the illustration, so I’m so glad to know that the “softness” came through in the drawing. This illustration is absolutely beautiful Mikayla. I love the pastel shades and the lovely little details you’ve captured, as well as the sense of movement. I hope you’re enjoying the festive season. Have a great Christmas! Thanks so much, Saba! I hope you have a wonderful Christmas as well. I agree, they are timeless! Thanks for the love, I really appreciate it.